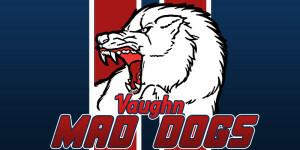 So this year I’ve decided to enter an NFL Fantasy league with my team the Vaughn Mad Dogs. The draft took place last night and although I made one or two (big!) mistakes I think my roster turned out alright. I had the 9th overall pick in the draft – so by then the stud WR and RB were all gone – I took Denver Broncos QB Peyton Manning with my first pick. Looking back I should’ve took Denver WR Demaryius Thomas with my first pick and would’ve still been able to pick up Manning or New Orleans Saints QB Drew Brees with my 2nd pick (12th overall). With my first 5 picks I took a QB, 2 WR and 2 RB. 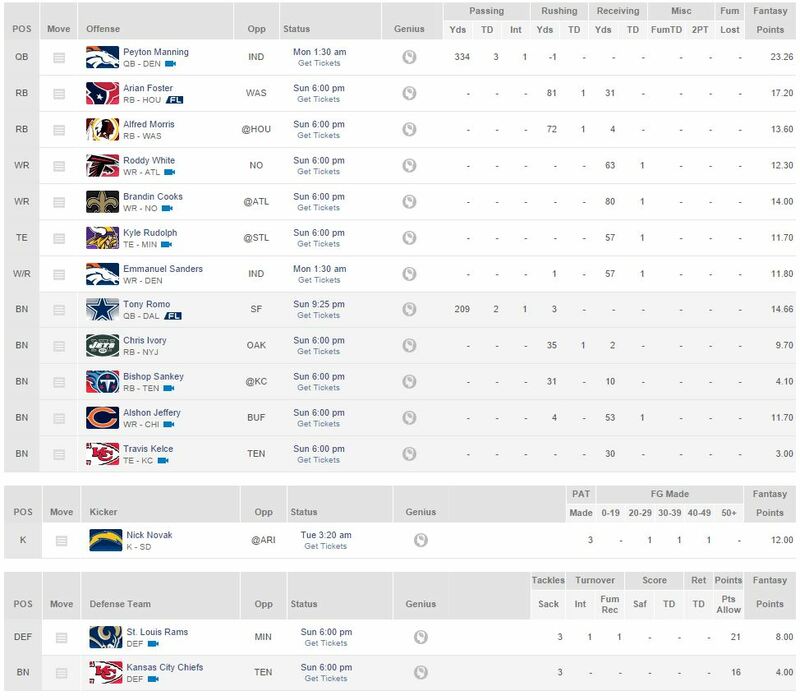 You can see my end of draft depth chart below, surprisingly it doesn’t contain any 49ers players as Crabtree and Davis both went just before the pick I was going to use to select them. I was interested in the niners defense but they have a lot of injuries so decided to go with the highly rated St Louis Rams instead with the Kansas City Chiefs to use during the Rams bye week, or to replace them with if they’re under performing. 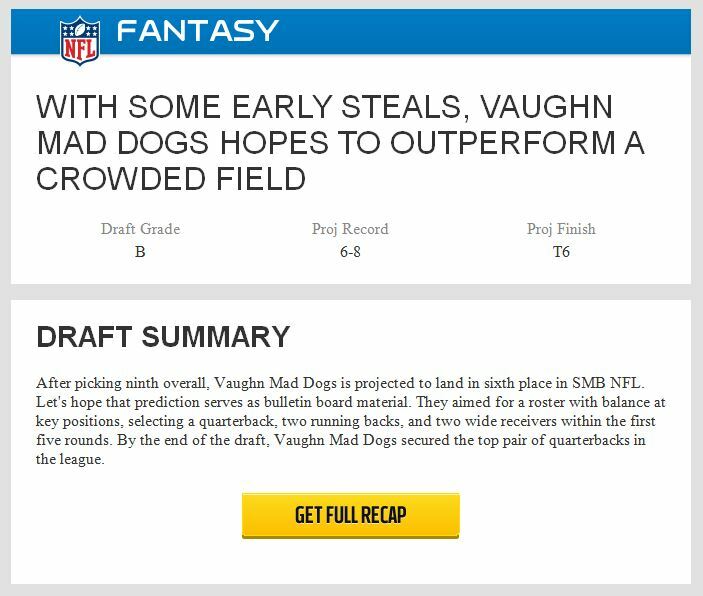 NFL Fantasy ranked my draft performance as a B and projects a T6 place finish. This entry was posted in American Football, Fantasy, Football, NFL, Sports on August 27, 2014 by Stephen Hoult.